“These shirts look fine. Why do I have to iron them?” Yohan asked with his serious face. As he held the shirts at arm’s length and brought them closer to his eyeballs, squinting to make out the “wrinkles”, I pointed the way to the iron and ironing board. Still not game, he shared an idea, “How about if I just drop them off at the dry cleaners? Isn’t that what you used to do with Gilles’ shirts?” Damn, that boy has a great memory, I thought. In all honesty, I used to hate ironing men’s dress shirts. When Gilles worked in a corporate environment, I would try and try, in vain, to produce crease-free shirts but for every wrinkle I smoothed, 2 more would appear. Obviously, I would not be the best of teachers, but once we got down to business and the drama and comedy died down, he made progress (watch the clip below). On a more serious note, let me give you a glimpse of Yohan’s life today. He’s just completed his first year of Graduate School at Claremont University where he’s studying Positive Organizational Psychology. Over the summer, Yohan is interning at a local company, Mind Garden. He’s loving it! First Day of Work – Look at the nicely ironed shirt! 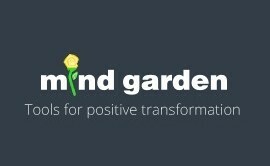 Mind Garden is an international publisher of psychological assessments, providing tools to facilitate positive personal and organizational transformation. He’s enjoying the people, the work, and the experience. On Fridays, he takes calls for the CMTA, helping others navigate their way toward finding solutions and information about CMT or Charcot-Marie-Tooth disease. It’s a joy having him home for the summer. He’s always joking, laughing and telling stories. And, I love listening to how he perceives the world around him. For example, when he looked at the ironing board, he asked why it was in the shape of a surfboard. He is also convinced that “It is way too small for ironing. In fact, it’s so narrow, only a teensy part of the shirt fits on the actual board!.” I suggested he create a new type of board and make millions after pitching his new design to the folks on Shark Tank! When I showed him a new piece of artwork featuring barn owls, he pointed out how the owl heads look like sliced apples. That imagery had never grazed my mind, but he’s right! My world is changing before my eyes. I just came back from a trip to see my family in VT and to help my brother, Chris, promote the Cycle (and Walk!) 4 CMT event (www.cycle4cmt.com). Yohan took good care of our very needy and spoiled cat, Tortellini. This cat, turning 14 in the month of September, is no easy keeper. She eats 4-5 cans of cat food per day and drinks tons of water due to some minor kidney problems. What goes in must come out! That’s right, he had litter box duty, but never once complained (that I know of, at least!). Tortellini also has hypothyroidism, which necessitates rubbing a medication in her ears twice a day. And that’s not all…..he played with her, gave lots of loving and sent me photos /videos to prove she was still living, breathing and pampered! Lastly, out of sheer frustration, he’s earnestly attempting to organize me, but that’s a ginormous job. It’s definitely not a summer project because it takes a lot of time for new neural connections to be established in the brain. A lot of time….years even. Regarding his surgically-altered foot, he’s doing pretty well. His foot is still very sensitive and the nerves continue to be fussy, but he’s more mobile than ever before. He has drop foot on the foot that was not reconstructed, so he walks heel-toe, slap, heel-toe, slap, heel-toe slap. He’s adapted to this new gait and is in no hurry to have a third surgery. He is happy just the way he is, which is all that really matters. The only big plans we have for the summer are going to Vermont to participate in the Cycle (and Walk!) 4 CMT on August 26, 2018, in Charlotte, VT. He’ll be walking in the event and raising money to advance CMT research. I am so proud of Yohan. I know in my heart he is resilient and will find ways to surmount obstacles that try to block his life path. In fact, while I was away, he discovered the wrinkle free setting on the dryer….smart kid! No more ironing, no more wrinkles! He also knows that his family and friends stand strong and are fighting this degenerative disease beside him. And by getting involved with the CMTA, he is advocating for a world without CMT. For this, I am extremely grateful. Well, I guess I’d better stop here. My personal assistant just asked me to put my keys where they belong and to throw the empty cat can and lid in the recycling-after it is rinsed out, of course. Apparently, I’ve been slacking! Thanks for sharing, Elizabeth. Sounds like your Summer is going well. Way to go Yohan. Can’t wait to walk with you.